It really is hard to say which of a handful of remotely available sites in Brighton & Hove would have been most suitable as the home of the Albion. To recap, Brighton & Hove Albion left the Goldstone Ground in 1997 for Gillingham; left Gillingham for Withdean in 1999; and left Withdean for Falmer in 2011. It is amazing to think that Brighton & Hove City Council granted planning permission for Falmer back in 2002 and that it wasn’t until September 2007, after appeal deadlines had expired, that full permission was granted. I must admit, I personally am not comfortable with development on the green spaces around Brighton & Hove but I do accept that the home of our local football team is very much a special case. Falmer probably was the right choice all things considered. 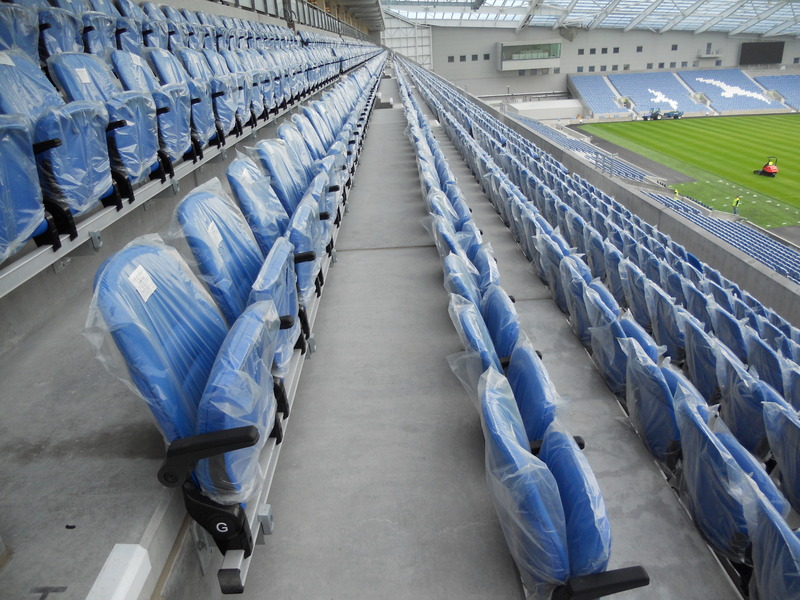 The capacity of Falmer Stadium is said to be 22,374 (I haven’t counted the seats) but there is room to increase this to something in the region of 35,000. It was designed by KSS Architects, a London-based firm that specialises in sports projects; especially large ones. I visited recently and was shown the north and west stands which contain offices and dining facilities respectively. The pitch is not visible from outside the huge structure and it is hard to describe just how uplifting it was to see it after emerging from the service areas behind. I can only imagine what it’ll be like when full to capacity on a match day. As an aside, the whole area really has changed since I studied at Sussex. Small things are different such as the university entrance, the tunnel under the A27; and the bridge over the railway line. There are big differences too though. Massive new buildings have sprouted up around the Sussex campus, and on that of Brighton opposite. Indeed, the whole Lewes Road corridor is changing, seemingly for the better. 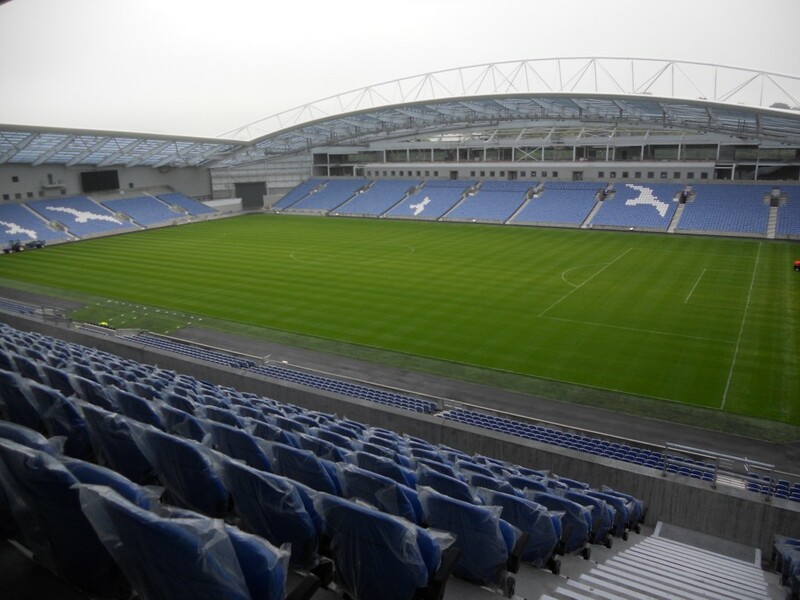 The first game has already taken place at Falmer Stadium which saw Brighton beating Eastbourne 2-0 in the season final of the Sussex Senior Cup. Hopefully, a similar result will be the outcome on 30th July when the Albion first team will be playing its first game there, against Tottenham. My next visit though will be on Friday 2nd September for Macmillan Cancer’s 100th anniversary gala dinner which I am happy to plug. For tickets, please call Mrs Audrey Ebison on 01273 773909.